The Phytophactor: How did we live without this? Whipped Lightening! How did we live without this? Whipped Lightening! Coming soon to a state near you, Whipped Lightening, a new product presently only available in 10 states: Arizona, Texas, Colorado, Georgia, Louisiana, Missouri, South Carolina, Virginia, Maryland, and New Jersey. Whipped Lightening takes a whipped topping, some coloring, and spikes it with ethanol. 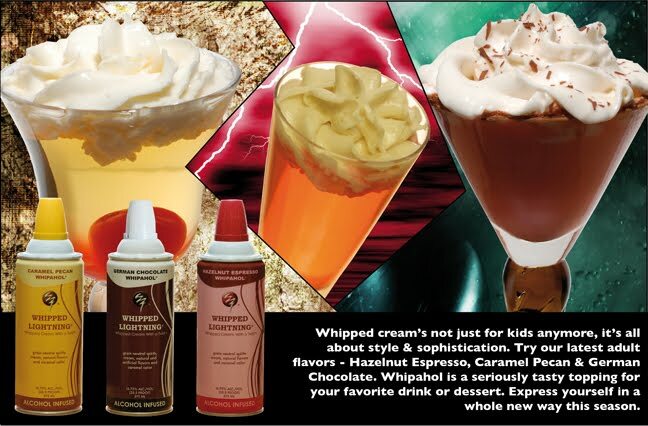 Yes, that's right readers, a 30 proof whipped topping! "Whipped cream's not just for kids anymore." Cool Whipahol will certainly add something to Grandma's pumpkin pie or an ice cream sundae. Is this a great country or what?